So many coffees, yet no way to conveniently document your favorite roasts...until now! 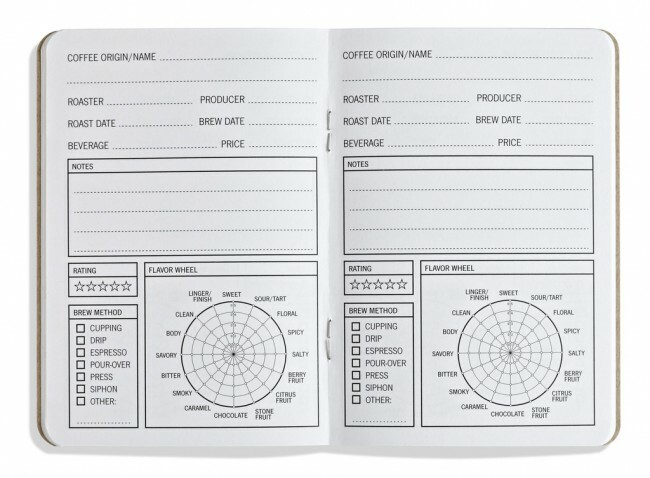 The 33 Cups of Coffee Tasting Journal is your handy pocket-sized coffee companion that remembers essential bits of information about your favorite roasts, such as the coffee name, origin, roaster and roast date (to name a few!). 33 Cups also provides a coffee tasting wheel, your personal 'star' rating section and several different brew methods to choose from. Bring this handy coffee journal with you wherever coffee is steadily flowin'! 33 Cups? How did they come up with that name? Simple! This pocket-sized journal provides 33 pages to fill with your every taste and thought. So, drink up and take note! 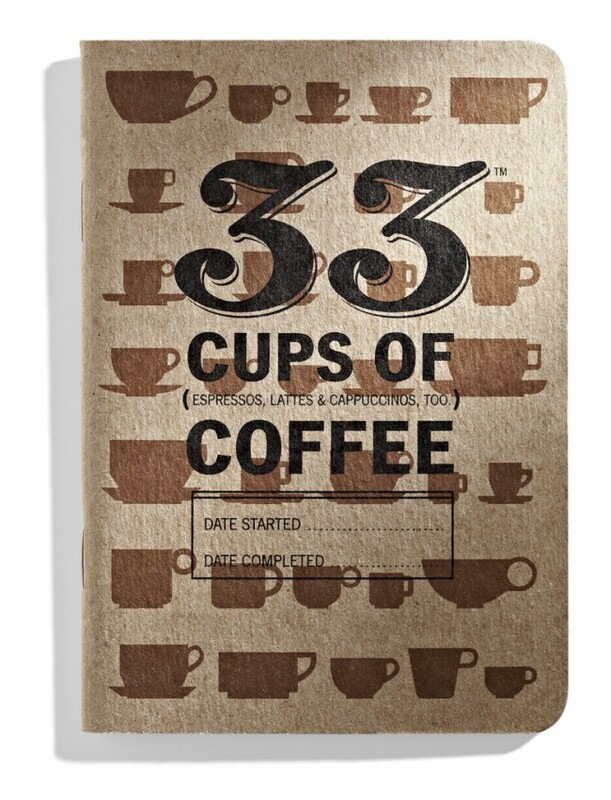 Eco-Friendly - Each 33 Cups of Coffee Tasting Journal is made from 100% recycled goods from the Pacific Northwest. Keepin' it Local - Each booklet is printed and made in coffee centric Portland, Oregon. This versatile journal is perfect for the coffee aficionado, budding barista or enthusiastic java drinker in your life. Fun Fact: A small portion of the ink in each booklet contains a small amount of coffee, which is noted on the back cover. Flip the book and take a look to see what coffee is featured in your edition!